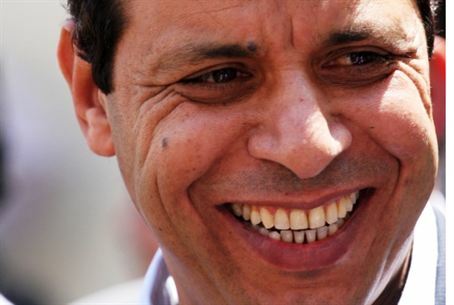 Fatah continues its campaign against one-time strongman Mahmoud Dahlan with claim that he poisoned Arafat. Palestinian Authority Chairman Mahmoud Abbas' Fatah party has accused a former senior member of plotting to murder other members of the PA elite. A Fatah committee of inquiry accused former strongman Muhammad Dahlan of poisoning former PA Chairman Yasser Arafat, and of involvement in assassination attempts on other leaders. While Arafat's doctor has confirmed that he died of AIDS, in PA-controlled areas it is widely believed that he was assassinated. Political rivals occasionally accuse each other, and Israel, of having a hand in Arafat's death. Dahlan's fall from power began with the Hamas takeover of Gaza, which his troops failed to prevent. In 2010 he was stripped of his diplomatic privileges, and in July 2011 PA police raided his home in Ramallah and locked him in a room. The latest allegations could be Abbas' revenge for a recent interview in which Dahlan called the PA chairman a dictator and a bully. Abbas is “trying to establish a dictatorship in a period of post-dictatorships,” Dahlan accused in a conversation with Kuwaiti media.